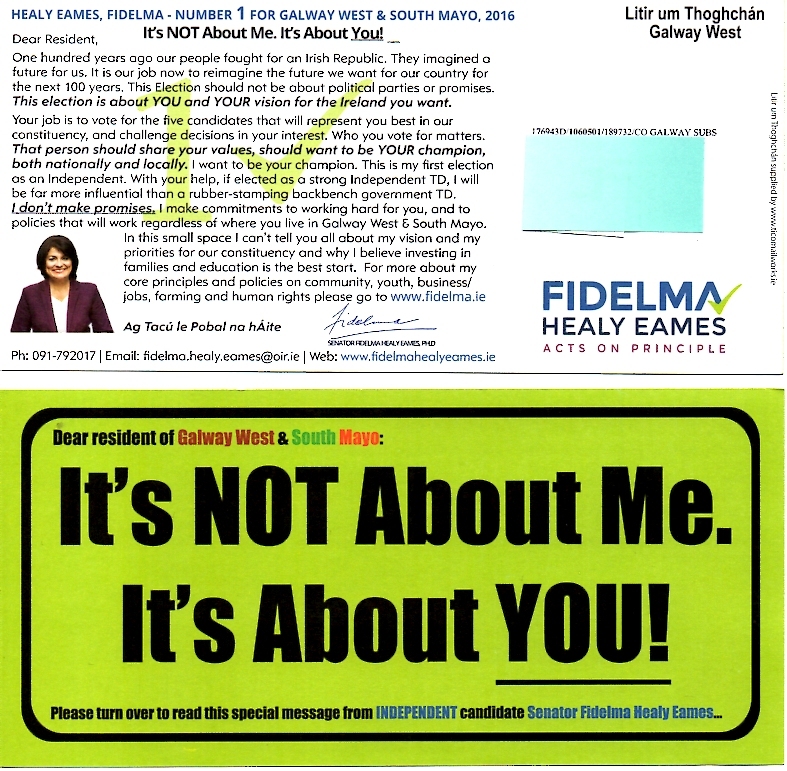 The Litir um Thoghchán from Fidelma Healy Eames who is running as an Independent in Galway West. 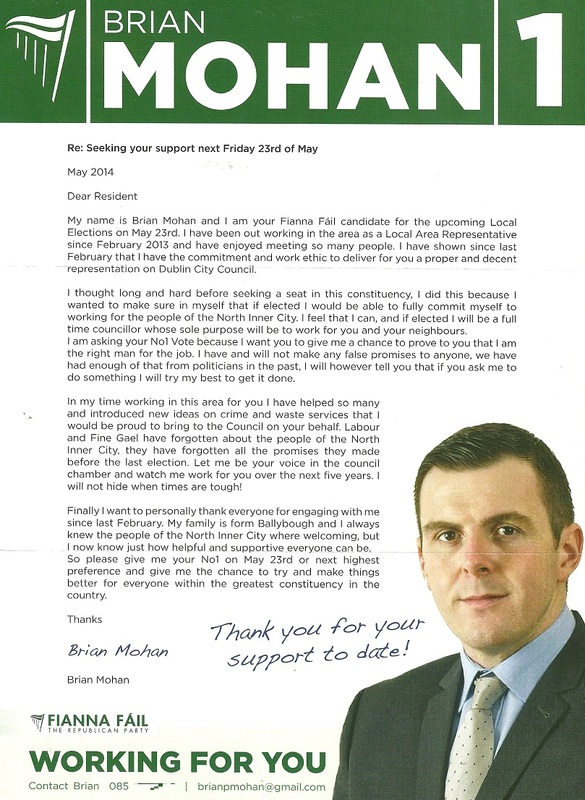 A letter to voters from Fianna Fail Local Area Representative Brian Mohan who ran in the North Inner City in the 2014 Local Elections. 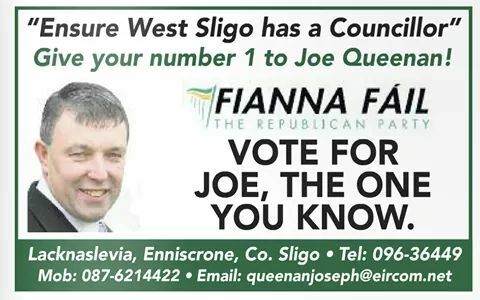 He had intended contesting the Fianna Fail Dublin Central selection convention until a directive from Fianna Fail to select only a female candidate meant he couldn’t contest the convention. 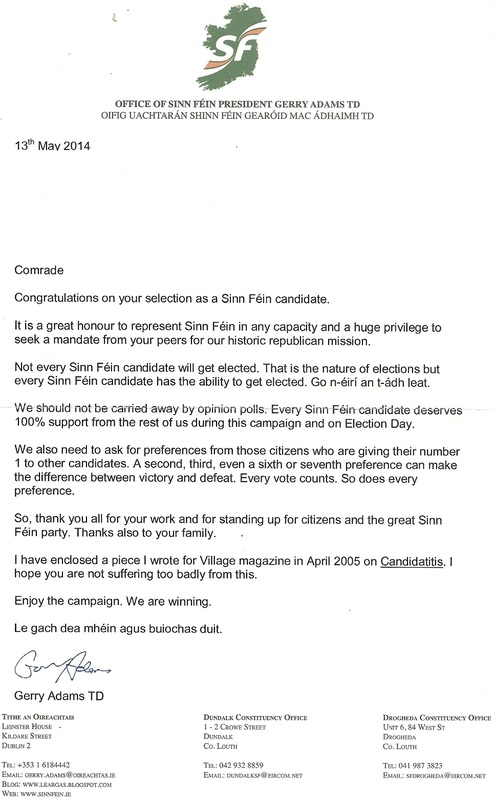 “Make Your Vote Matter Vote For The Hatter” “Vote Madhatter” a leaflet from Independent candidate Michael Wright who was running in Dungarvan Lismore in the 2014 Local Elections. 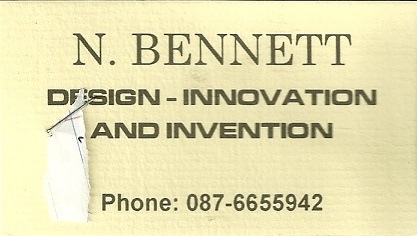 A popular local DJ he polled 392 votes and missed out on a seat.